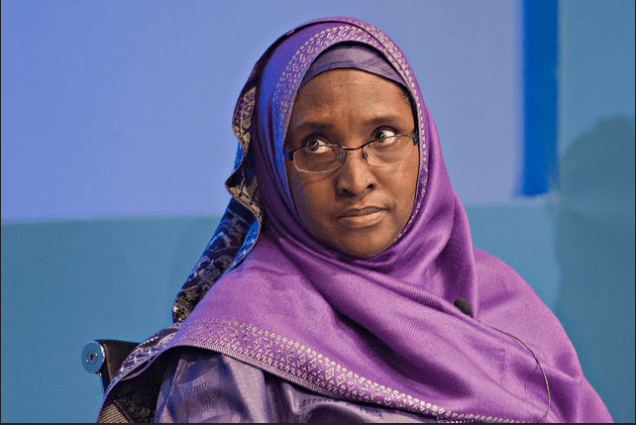 The Minister of Finance, Zainab Shamsuna Ahmed, on Thursday, raised Nigerians hope that the current food insufficiency nightmare and huge job loss will be adequately tackled with the $1.1 billion loan facility from Brazil, captured under the ‘Green Imperative’; a product of the diversification initiatives of the Federal Government. Speaking at the official launch of the project by the Vice President, Prof Yemi Osinbajo, at the Presidential Villa in Abuja, the Minister assured that nothing will deter President Muhammadu Buhari from continuing with the economic diversification drive, saying that the efforts were already yielding positive results, especially through the agricultural sector. According to her, the ‘Green lmperative’ was designed to promote agricultural mechanization, create employment opportunities for the energetic youth and help achieve food self-sufficiency. She said: “The project we are launching today will be implemented with a total loan package of US$1.1billion majorly from the Brazilian Government which will be disbursed in four tranches over a period of two years. “l have no doubt that this project will help to ensure food self – sufficiency, create more employment opportunities for our teeming population and also help transform the economic landscape of Nigeria. “This arrangement is expected to reduce fiduciary risks and create more employment opportunities for our teeming youth and those that will be involved in assembling the machineries and implements. “Another important benefit of the project is that its implementation will be purely private sector led in all its operations including the assembling of the machineries/ implements, operation of the service centres and the agro-processing centres. The Minister also commended the Brazilian government’s support and commitment to the project.